There are two major things that are prominent in our home right now: the Angry Birds game and a 4 year old learning to deal with her frustrations. 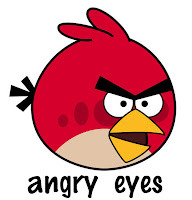 Maybe it’s all the hours we have spent shooting birds at stinky little pigs, but I started to see a lot of connections between the Angry Bird game and my own little angry “chick”. The angry faces, the lashing out at others, etc. Her anger was a big emotion for such a small child to control. So the idea was “hatched”(pun totally intended): use the Angry Birds as a way for teaching anger management to my daughter! And so far, I LOVE it. My daughter understands the inappropriate ways of expressing anger as well as strategies to help calm her down. The background of this technique is simple: like most kiddos, my daughter was struggling with a few different inappropriate ways of expressing her anger. To help her understand this better, I assigned a bird to each inappropriate behavior. Side note: It is important to explain to our kids that feeling angry is completely normal. Don’t discipline your child because they feel angry…just teach them the appropriate ways of dealing with frustration, and clearly define those behaviors that are unacceptable. Perfect demonstration of those angry eyes!! 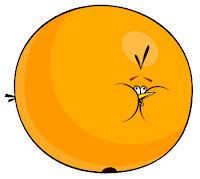 Keep objects to yourself…throwing toys (or in the bird’s case- bombs) is not an appropriate way of expressing your anger! Not only can your hurt somebody else physically- you are not showing respect to your property. 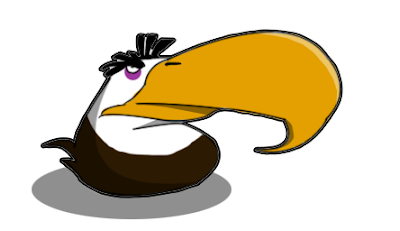 Sometimes anger can build and build inside of us until we just EXPLODE…just like the bomb bird. It is also known as the kicking, pounding on the floor, wailing, gnashing of teeth behavior that we refer to as a tantrum. Our kids need to learn that when they are angry, it is inappropriae to let their body explode. Once I had created these birds, I explained their angry behaviors to my daughter. We talked about better ways to deal with our frustrations (We don’t want to be like an angry bird!) When she gets upset now, she can tell me which angry bird(s) she was acting like- which I like because she can recognize the inappropriate behavior. Here are some of the APPROPRIATE strategies I taught my daughter to help her deal with anger. Teach your child the different strategies, and let them decide which work best for her. Go to the BIRDS NEST (aka bedroom or quiet place) until our body feels calm. Breathe, breathe, breathe! Deep breathing will deliver oxygen to our heart, brain, and the rest of our body. It will relax our bodies so we in turn can relax our mood. 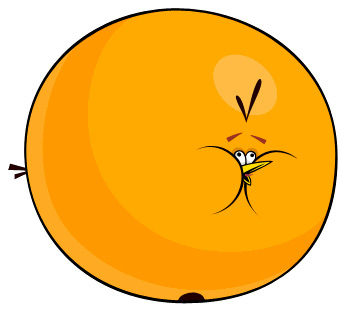 To illustrate this techinique- have your child take long, deep breaths to fill their lungs up like the orange balloon bird. Then slowly breath our the air, and repeat as needed. We call this the BALLOON BIRD BREATHING. STOP and THINK. Think about the other person’s feelings and the consequences of inappropriately expressing your anger. OK, what 4 year old is going to understand that jargon, right? Have them think of the boomerang bird. Teach your kiddo that their choices will come back and affect them- just like that bird comes back. For example, if your child chooses to say mean things when she is angry, her friend might not want to play with her again. Her choice is coming back to her. Is that what she really wants? Another phrase I hear parents say to an angry child “How would you feel if someone said or did mean things to you?” Children need to understand that there are consequences for their behavior. I know this is still a difficult concept for little ones to grasp, but teach and model as best as you can. You may choose to focus on the BIRDS NEST and BALLOON BIRD BREATHING techniques at first. 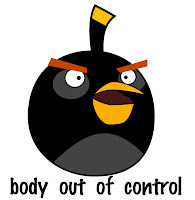 What do you do if your little angry bird just isn’t cooling down on their own? It’s times like this that the mighty Mommy Eagle swoops down, picks up the little angry bird, and puts her in piggy tower for a time out (which is currently against the wall). 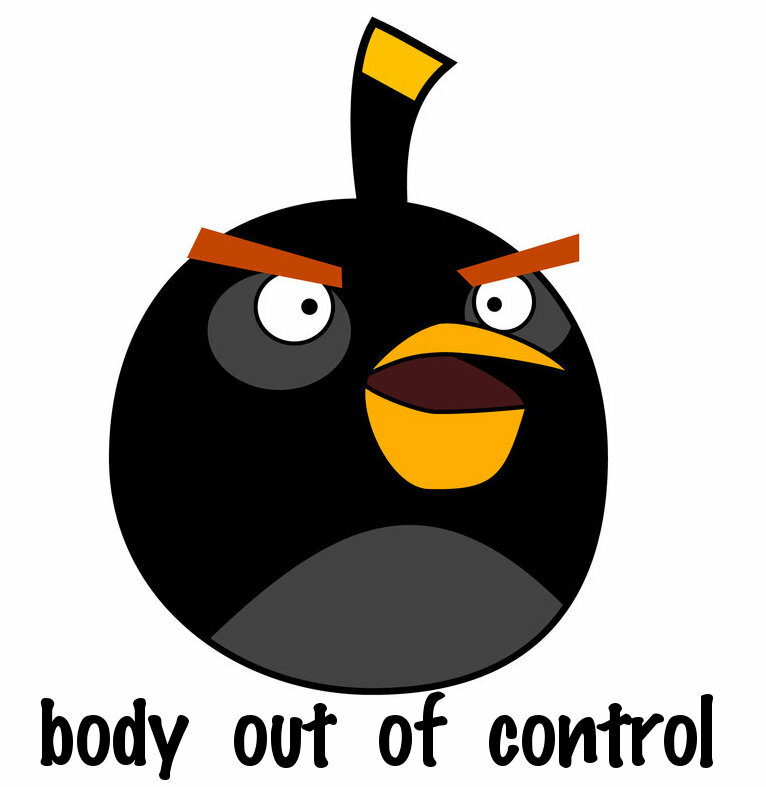 So there you have it: anger management for kids, angry bird style. 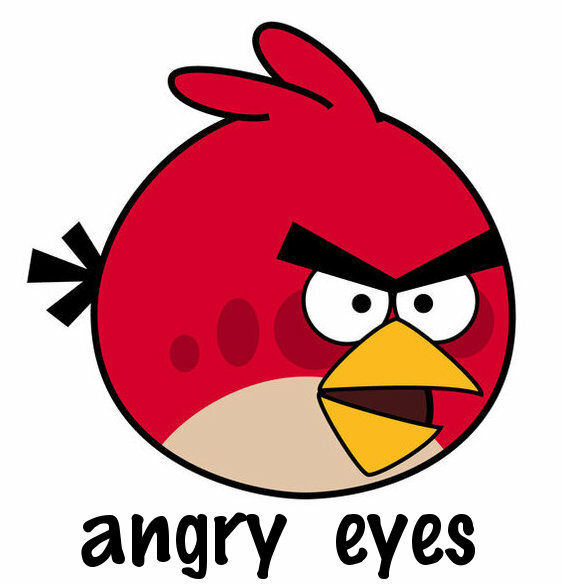 Just because we love the angry birds game, doesn’t mean we love the angry bird behavior in our little ones! 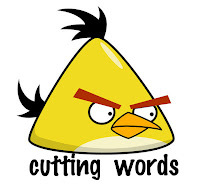 This entry was posted in angry bird, faith & family, fhe, health, learningtime and tagged anger, angry bird, movie, parenting, teaching tools on February 17, 2012 by ktoponce. I absolutely LOVE this! I had a very angry child in my pre-k class. She is now gone, but I would have LOVED to have this before she left. I’m going to do this for my class. Wow!! first of all, thank you for this great idea. i do mental health and this is a great tool to teach the younger ones anger management. i tried to print the printables but the third page is not working. is there another site i can go to for printing purposes? Thank you for putting this together. I wasn’t really excited to introduce the Angry Bird Game to my Boys (3 and 5). It didn’t really do much in the way of learning to me. But this is a great idea. I too like the role playing ideas. I constantly find myself telling my daughter that I need to go to my birds nest to cool down… it works well for me, too! This is just wonderful! 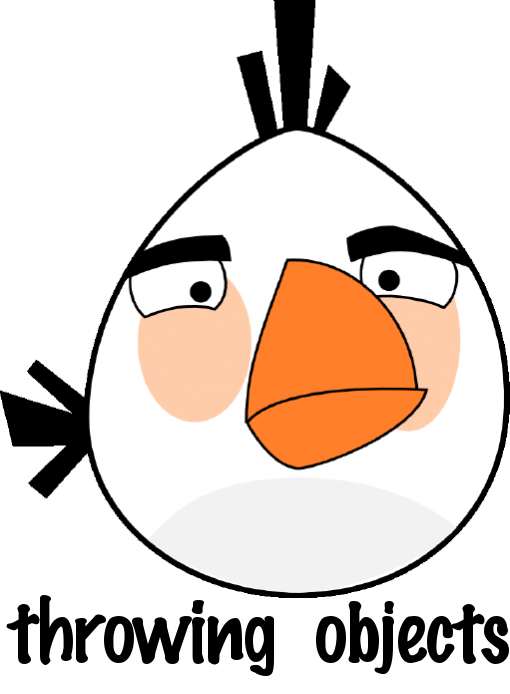 We love Angry Birds over here, too– but behavior, not so much! Thanks for this idea! Angry birds is an obsession at our house- this idea was just a perfect fit. Thanks for leaving a comment! I have a daughter who frequently resembles all of those birds. I love the idea of using them for an object lesson. Thanks for sharing! Let me know how this works for your daughter! So clever and creative – going to pin this idea! I think therapists could use this nicely too in Play therapy with children who are familiar with the “Angry Birds”. Thanks so much Mia! Love your site- you are so creative! We are doing this right now! My boys age 3 and 4 1/2 have a really hard time with anger management- this has been a GREAT way to open the discussion in a way that they understand! And yes, Mommy is making the yellow bird b/c she often uses “unkind voice” when she gets angry. I really do love this, thanks for posting. This is TRULY brilliant. I have a TON of anger management activities (being a child therapist), but I LOVE the “trendiness” of this. Kids, and adults, can relate to it so easily. I will be using this at home AND at work!!! Thanks!!! Thank you SO much! I am glad that I was able to inspire a child therapist! I love your blog!! Please let me know how it is working with your kids! Oh, how I love this! I have some little friends that I am frequently reminding to be calm, take deep breaths, and look for another solution! I would love to invite you to share this at Teach Me Tuesday (http://PreschoolPowolPackets.blogspot.com)…and any other posts you’d like! Thank you so much Carla! I really need to remind myself to join your linky party every week- “teach me tuesdays” is such a clever idea! I love, love, love this idea! I am an elementary special education teacher. I borrowed this wonderful idea to use with my social skills group at school. They are loving it! I took your general ideas and then adapted it for their needs. I am blogging about it soon! Stop by and read!! Thanks for the wonderful idea!! This is soooo helping my kids. I just did another post about this and commented on your latest post. I cannot thank you enough for this wonderful idea! I wanted to tell you that I continued using this idea and adapting to fit my needs through the end of last school year and beginning this year. I really can’t believe how wonderfully my kiddos have responded to this. I also am excited to share with you that I will be presenting at the KY Special Education Conference here in a few weeks about this very topic. I will be talking about anger management and behavior management strategies particulary with students with ASD, ADD/ADHD or other emotional/behavior disorders. I will be sharing some of these Angry Bird strategies along with other things that I do in my classroom. I just want to say thank you, again, for the inspiration. I’m sure you had no idea how many people this would touch, just as I had no idea how much my kids would relate to this! Keep up the great work! And…thanks for being an inspiration! I love this idea! This will be perfect for my son with Aspergers. I have been looking for a way to explain this so he can understand. Let me know how it’s working with your son! As an elementary school counselor, I LOVE this, and hope you don’t mind me borrowing the idea for a class lesson. All students need to learn about anger managment. I would love to hear how your lesson goes…keep me posted! Thank you for sharing this idea! I’m going to add the blue bird (one of his favorites) to explain how the anger spreads and can hurt the feelings of others in the home. We have talked about how feeling angry is okay but we have to choose how we let that anger out. The idea of relating angry reactions to his favorite game (and with him being such a visual learner) is going to be something that works for him. THANK YOU!!! Thanks so much for your sweet comments! I hope this helps your little guy!! I agree, The Blue Bird is a very good lesson to teach too! Thanks so much Peggy for your kind comment! 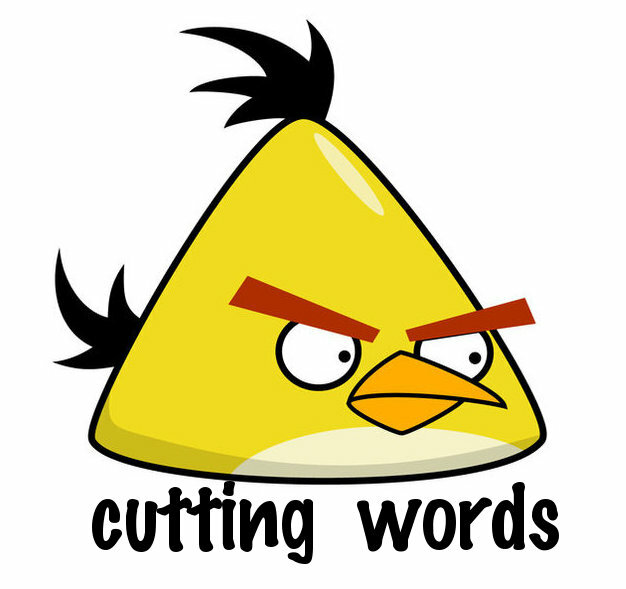 It really has helped my daughter find words to express her anger! I just showed this to my 4 kids (ages 9,7,5, and 4) and they LOVE IT!!! They are busily sitting at the table cutting out Angry Birds, and talking about how those poor pigs are minding their own business and all of these Angry Birds are being Angry! Oh how I hope this lasts! My 7 year old loves the nest… GREAT post! Okay this is hitting home right now. I have a 7 yr old almost 8 who is having major issues with anger right now and we are going to counseling to help with this and other issues. I am going to ask really silly questions in how I set this up. Do you by chance have any templates to download. My son saw this and was totally thrilled with it because he loves angry birds. Thank you so much for your help with great teaching resources. Thank you for sharing this! What a great idea. I do love the idea with the blue bird as well. LOVE! You are wonderful for sharing this! We just did it tonight and my 6 kids ate it up. We will now be referring to their beds as their “nests”. I have been using your Angry bird lessons in my socials skills/behavior group for kids with Autism for the last month. LOVE IT!!!! I’ve shared the website with our district behavior specialist and an outside counselor as well. Thank you!!!!!!!!!! This is just what I need for my children today!!! Thank you!!! I’ve been needing an anger management activity to use with my boys, and they LOVE Angry Birds. This will be so useful! Thank you, thank you! Love this! I teach kids on the Autism Spectrum who have anger management difficulties. They are obsessed with Angry Birds right now, so this really helped them to engage and listen. Thank you! I also teach students with Autism. They love Angry Birds, it is one reinforcer they are all willing to work for. This will be the perfect way to teach anger management in a context they already enjoy. I can’t wait to try it in the classroom! I have teenagers who neeeeeed this too! Thanks soooo much for sharing it!!! Can’t wait to teach this in FHE!!!! Thank you so much for the lesson and printables! We are doing this tonight! I came across this on Pinterest. I printed the posters for my school age program and the kids loved it! They all love angry birds so they were able to relate. When a child is upset other children tell them to pick a cool down strategy and direct them to the poster! I have also recently printed a few of the books for a select group of children who seem to get angry often and love this game. They all loved them so much and the other children are now asking for their own copy! When a child gets upset they sit down and work on a page. Thank you so much for developing this! Wow! This is amazing. What a great idea. I hope it works as well for me. I am LOVING this concept right now! Here’s another half-baked analogy you might be able to work into this model: look at how Red Bird bashes himself willy-nilly into a wall and gets hurt (he actually says “ow!” which I love, BTW). He didn’t accomplish anything (nothing got knocked down), and all he did was hurt HIMSELF (the concept I’m thinking of here is how your anger can really be destructive to yourself). I love this idea! A co-worker gave me your website; I have used this with many of the children I work with in our community mental health setting. Had to let you know that this is a brill resource to use with children. I am a family support worker and needed some child friendly anger management resources so searched the web and found these, which are brill!! Thank you, thank you, thank you for your wonderful idea on how to teach about anger! Today you really are an answer to our family’s prayers. Our 9 year old has been really, really struggling with anger lately, and of coarse our anger then gets kindled and added to the mix. I have been trying to find a way to teach about appropriate behavior and this is going to help a TON! I also love the blue bird idea. That’s been one of our biggest problems; spreading the anger. Thanks again!! We’re doing this TONIGHT for FHE! Love, love love this analogy! Great job thinking it up! I think this is brilliant!!!! I work for a community based mental health provider where my role is to teach Life Skills (anger management, friendship building, school success skills, etc) to kids who range in age from 4-17 and I see this working very well! I am actually adopting this as my primary approach for teaching anger recognition and management. VERY good idea! and thank you for allowing other to find and utilize this material including the work books. Clever! Thanks for the idea! I just wanted to take a minute and say THANK YOU!! I appreciate you sharing your wonderful idea as well as all of your materials. I am going to try this with my group of VERY angry kids on an inpatient unit. I think it will work fabulously. Thanks for your creativity and generosity to share it! Both affection for angry birds game and learning anger management are very much what my family is smack in the middle of right now- so timely! I will enjoy sharing this with my youngsters. Awesome! We are going to feature this lesson on LDStrong’s FB page. Check it out later today. Awesome! We will be featuring this lesson on LDStrong’s FB page today. Check it out here. This is a perfect FHE idea for our family. But you made it even easier by making the graphics so easily printable. Thank you! I was prepared to spend a chunk of time finding graphics to print, but you did all the work for me. Hooray! Yes, this is fantastic and creative idea. Thank you very much to share it this. to teach anger coping in my groups. Thanks again. You are AWESOME! Don’t allow anger to control your life ever again. Enroll in a anger management class, anger management classes for groups or anger management courses for individuals today and take the first step in stopping the cycle of anger that has caused you personal and professional conflict. Thank you a lot! This is perfect for my only child!!! Muchas gracias por tu ayuda!!! Thank you a lot, this is perfect for teaching to my only child! Gracias por tu ayuda. Hi! 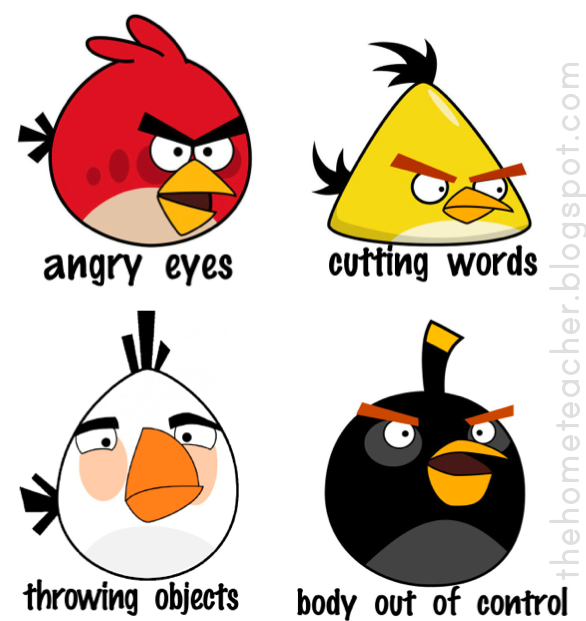 I love your Angry Birds Anger Management Ideas!! I’d love to do something like this in german (I’m from Austria) – could you tell me where you’ve got the pictures of the Angry Birds from? I just did a google search for the pics- there are a lot available! Some of the black and white ones I created with the Gimp. Hope this helps! Thanks so much for this. This year I have a group boys (7&8 years old) who have problems dealing with their anger after recess. I’ve been doing it with all the class (boys & girls) and they are responding really well to it. I can’t find your name anywhere on here, but I want to thank you! 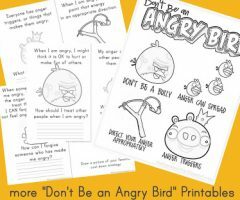 Your ideas and blog were mentioned at our Power of Moms learning circle and I think we’ve all come to check out your Anger Management Angry Birds. I truly feel you were inspired with this. Thank you so, so much for your willingness to share these great ideas!! Will you email me your name so I can put it with the lesson? I just want to make sure you get credit! 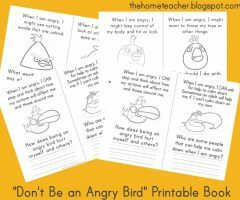 I really love this idea of using angry bird as a medium to teach anger management to kids. 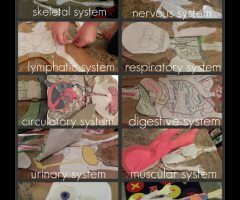 I am a health educator from Malaysia and can I use this idea for my preschool program. This is an absolutely fantastic ideas. I cant wait to try it out. I really liked the way in which you engaged your daughter through an idea she could relate to and had interest in. I thought your role playing was very cleverly done. The point was clear from start to finish! Well done, I will definitely be sharing this idea with my colleagues! I just saw this! 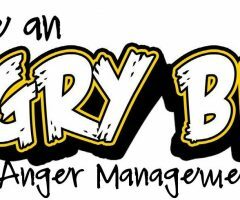 How did your VBS activity turn out? I would love to hear about it! I am a graduate student, studying school psychology and absolutely love your “Don’t be an angry bird” lessons on anger management! I used them during a social/emotional group that I implemented at an elementary school last year. 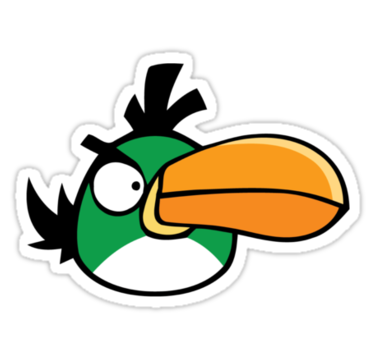 I will be attending a school mental health conference soon (and presenting on the groups that I implemented) and I was wondering if you minded if I showed your pictures of the angry bird strategies (e.g., boomerang bird, mighty eagle, etc.). I would just briefly mention them when discussing some of the strategies I used during my group. Of course, I would cite your website & your name if you could email it to me. Please let me know if you mind if I briefly show those strategies during my presentation. I Need to teach my students anger management using these. I WILL PRINT THEM TOMORROW.